In case you’re on the fence about trading in those garbage bags full of money you have stashed behind the water heater for BMW’s upcoming halo car, the M8, maybe this will help. 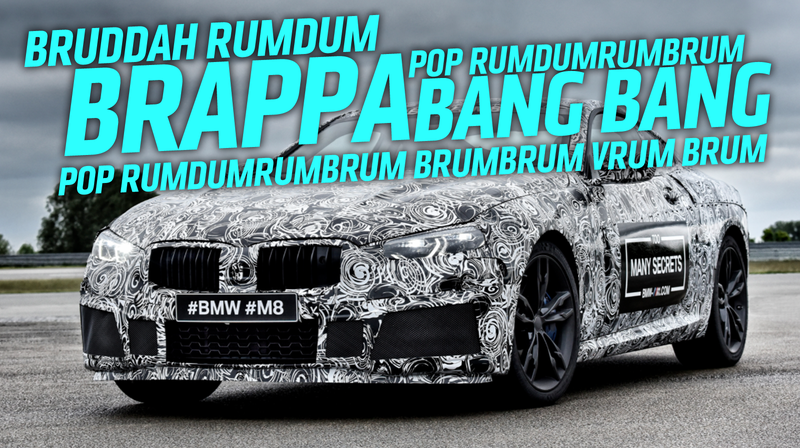 It’s the first audio from BMW’s M8 prototype from when it was at the Nürburgring 24 Hours this past weekend. That gruff, brutal sound could be coming from either the 4.4-liter twin-turbo S63 V8 from the F90 BMW M5 or the 6.6-liter twin-turbocharged V12 from the BMW M760i, both of which make around the same power, somewhere in the 600 horse range, but we’re just not certain yet what BMW has in there. I’m sort of inclined to go with the V8, though I’m still secretly hoping BMW will launch it with the industry’s first inline-7.